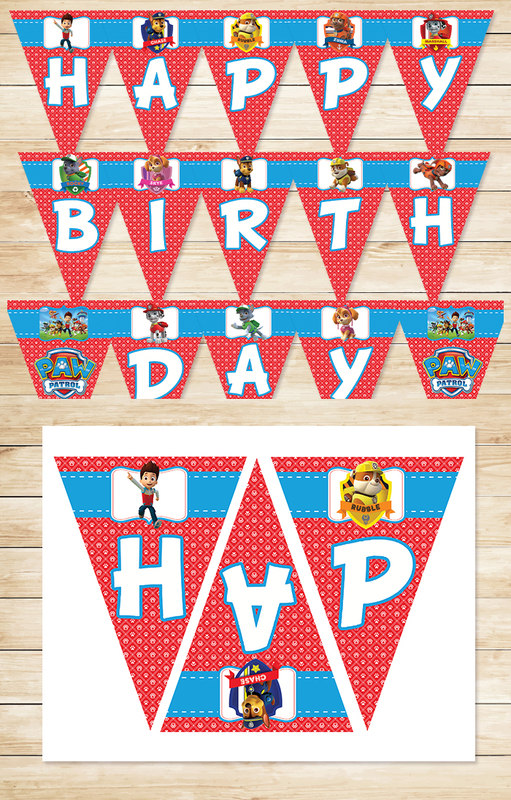 This Paw Patrol Banner is a High Resolution PDF, 8.5 x 11 inches in size. There are 5 Pages to the Paw Patrol Birthday Banner, and I've managed to put three banners on each page to help you save money on your printing paper! Thank you! My boys will be surprised! the template is not opening for me it says the file does not appear? Yeah, I am having the same issue and can't download the file. thank you so much !! as you have used maximum space of the paper it is very convenient!! will make for grand daughter's birthday on 1st Jan!! Thanks so much! My grandson will be so happy!